Barbara Isherwood, Art Education & Writing: 18th Century Rich People Problems: A Swarm of Cupids! 18th Century Rich People Problems: A Swarm of Cupids! 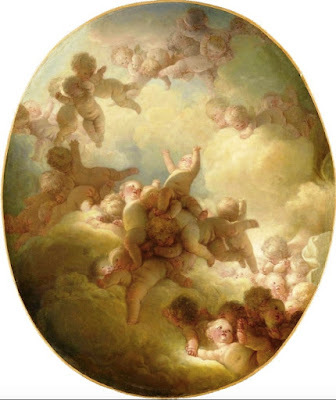 Jean-Honoré Fragonard, Swarm of Cupids, 1767. Musée du Louvre. Source. Spring seems like the ideal time to revel in the delightful excesses of 18th century art. Please join me for Art of the 18th Century, an eight week course starting January 2019. More cupids than you can shake a stick at!